Dodgers took another series by beating the J I N T S two out of three! 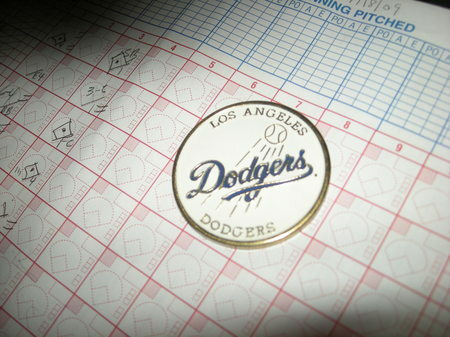 Dodgers outscored the Giants 22-11. Back to back homeruns by Kemp (25)and Loney (13). For Loney that was hist first HR at home. Randy Wolf . With six innings he surpassed 200 innings for the first time since 2003. He’s 6-0 with a 2.41 ERA in his last eight starts, all quality starts. Ethier belted his 31st homerun with a man on base for the Dodgers’ first 100 RBI season since J.D. Drew in 2006, the first 30/100 season since Adrian Beltre in 2004 and the first by a Dodgers outfielder since Shawn Green in 2002. 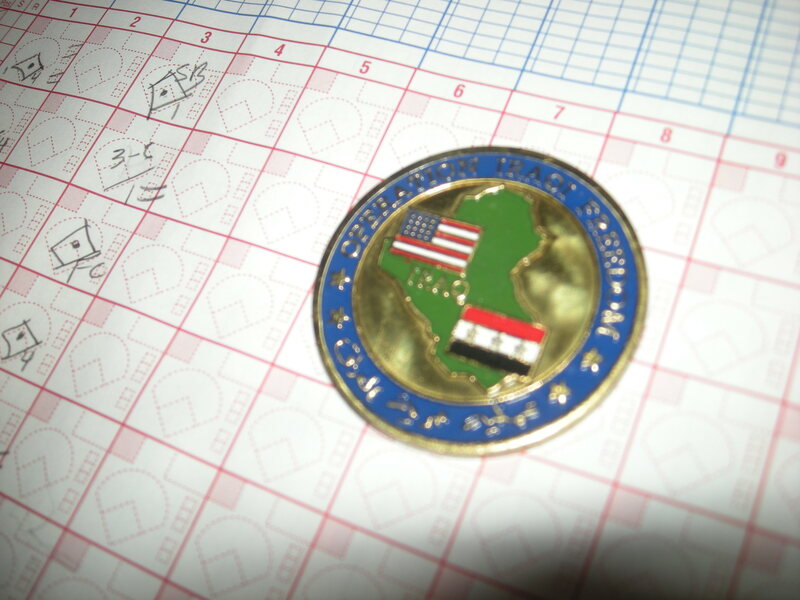 Mike, a fellow season ticket holder was showing us this coin that he received from a General in Iraq where he has been sending Dodger giveaways and other Dodger memorabillia. Great job with the picture on the cover and the ones inside the magazine. It is an outstanding article with interviews from other baseball players and fans about these two! 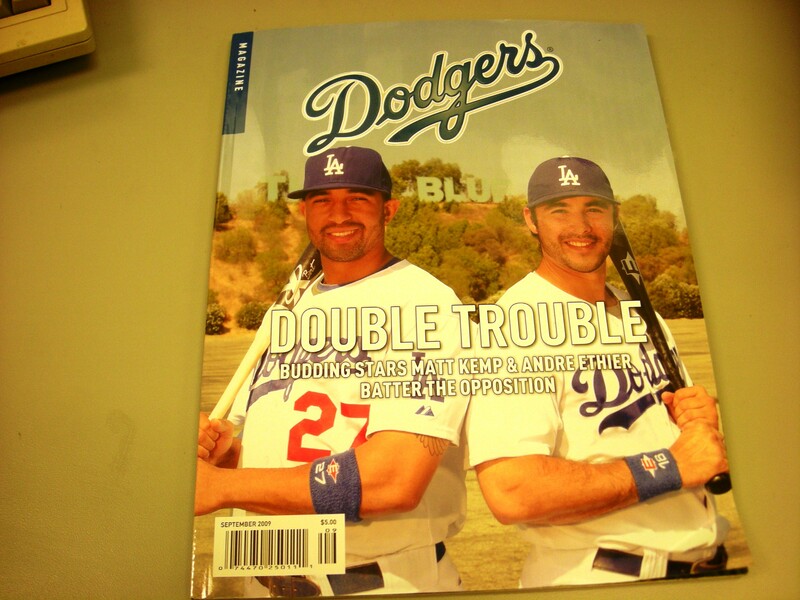 I know Ethierholics and Happy Kempers will be very happy with this issue! 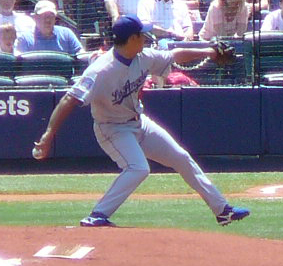 Andre Ethier is leading the team in Homeruns with 27 and RBIs with 88. He also has 36 doubles. Matt Kemp is right behind Andre in RBIs with 87, he has 23 Homers, 22 doubles and 29 stolen bases. Both of them are great defensive players covering Bison County and Ethierland. These are names we fans have tagged to center field and right field. Local boy Jon Garland makes his debut as a Dodger against his old team the Diamondbacks. Originally Garland was scheduled to pitch for his old team. The D’backs will counter with Billy Buckner. Jon Garland’s grandpa used to have season tickets to the Dodgers!